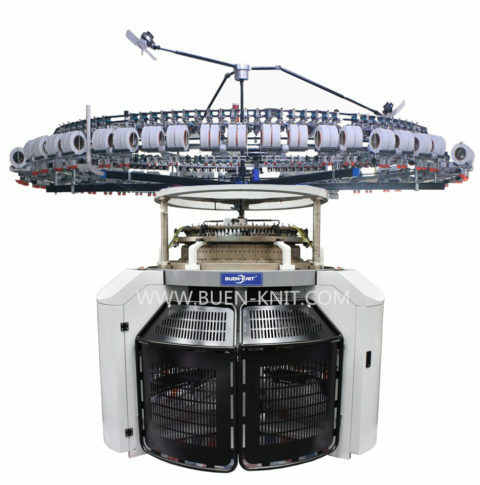 Single jersey circular knitting machine install with four tracks CAM design in the cylinder. 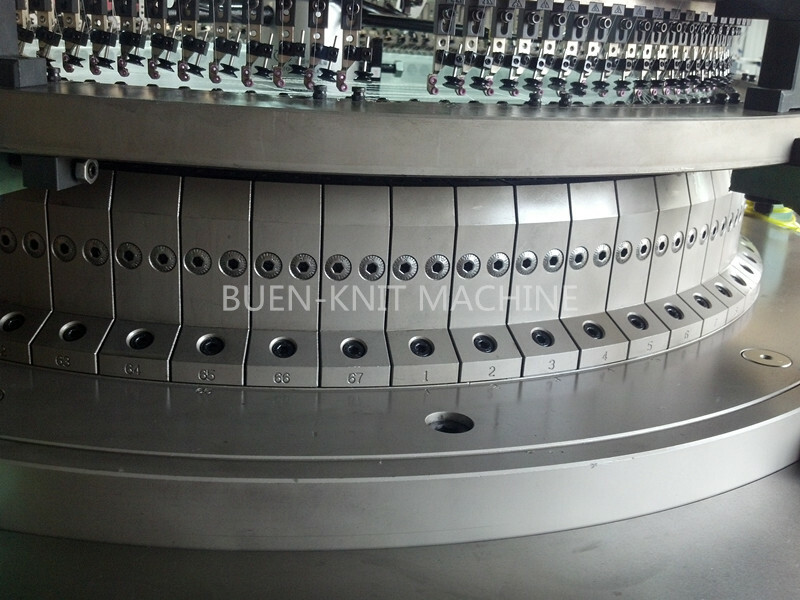 Adjusting the position of the cams(knit, tuck and miss), machine will knit different kinds of fabric such as plain single jersey, lycra single jersey,single pique, french terry, mini-jacquard etc. 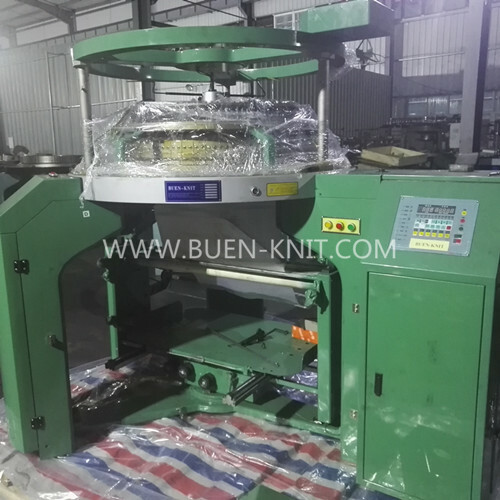 The single jersey knitting machine can be suitable for processing material such as cotton, polyester, silk, chemical fiber,blended yarn of various specifications etc. 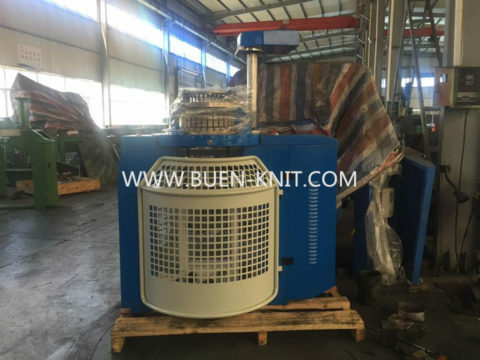 The single jersey machine also can be changed to three thread fleece knitting machine by changing the knitting parts like cylinder, sinkers, cam, yarn guider. 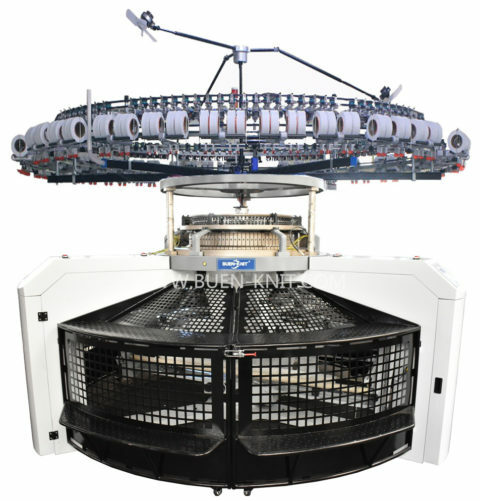 Most single jersey fabrics is produced on single jersey ciruclar knitting machine whose latch needle cylinder and sinker ring revolve throught the stationary knitting cam systems that, together with their yarn feeders, are situated at regular intervals around the circumference of the cylinder. 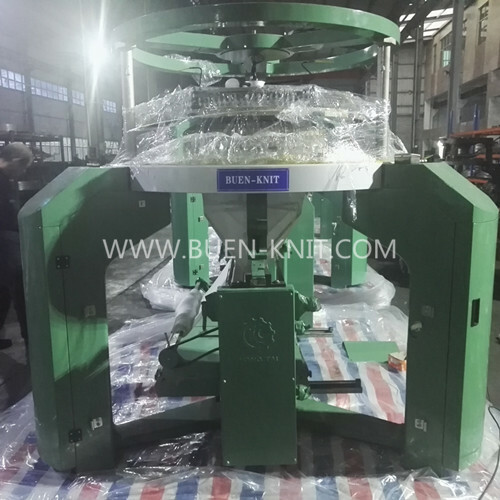 The yarn is supplied from cones, placed on a free-standing creel, throught tensioners, stop motions and guide eyes down to the yarn feeder guides. If you chooce dual-size for single jersey knitting machine,means you can use two diameter cylinder on one machine. For example: 34″ 102 feeders can be interchanged with 30″ 90 feeders. 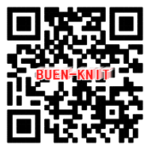 Sinkers and cams for single jersey circular knitting machine are made of special alloy steel. An indeal knitting machine running at stable activity to get the production as well as perfect output of faultless fabrics. Cylinder for single jersey machine are designed with the function which can auto clear cotton dust specially, avoid stopping machine to clear the dust frequently. 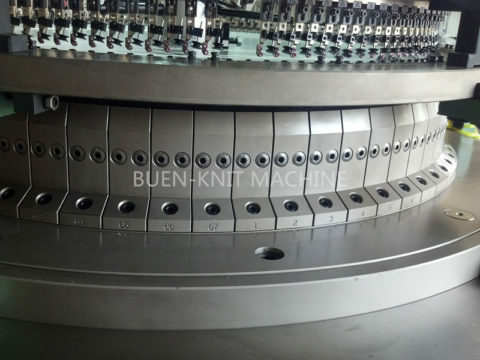 Single jersey knitting machine normally equip 3 feeder per inch , and it can be also make 4 feeder or 6 feeder per inch. 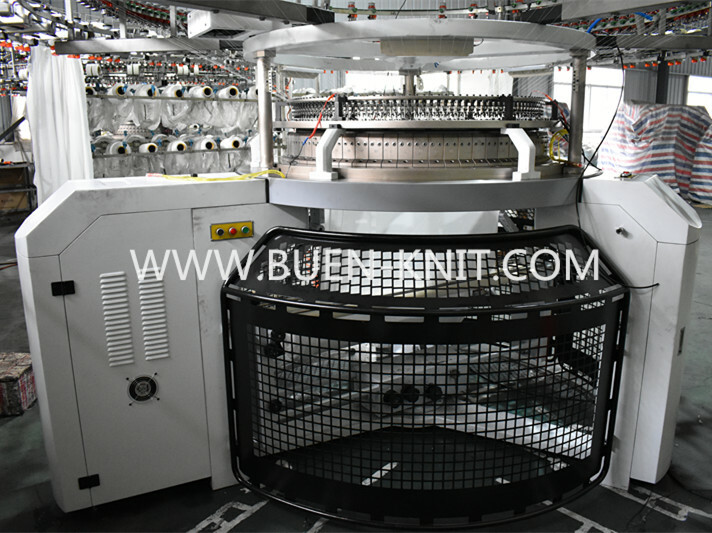 The machine adopt central stitch control system which can move the cylinder very easily. So that workers can change the fabric weight very easy. CAM in high precision are interchangeable to speed up transformation of different pattern organizations. 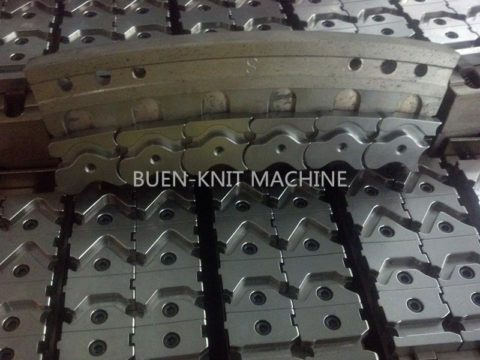 Drive system components for single jersey machine are made by superior material through high efficient heat treatment. 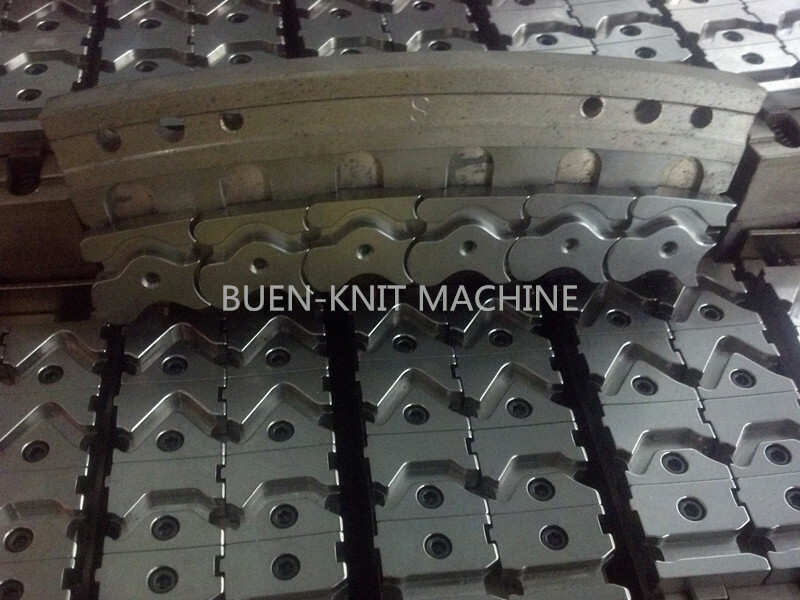 Gear and other main components are imported from Taiwan and bearing are imported from Japan. 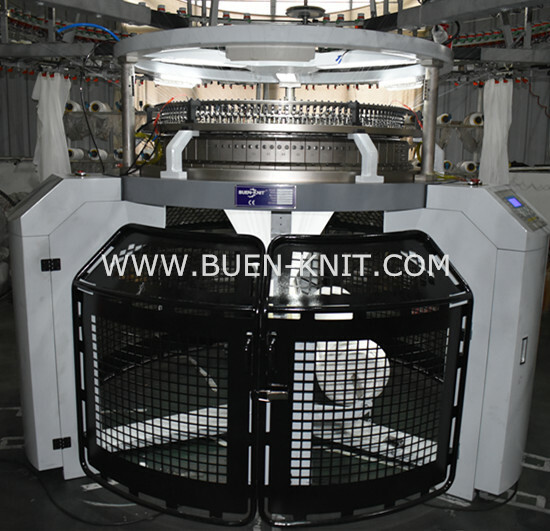 All of these make sure the machines to be with high precision drive system, low running noise and stable operation. 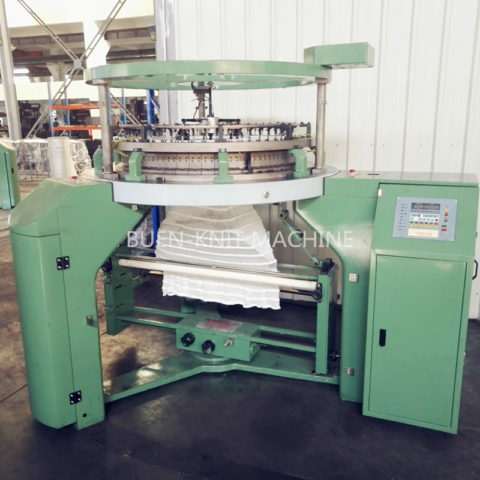 The bed plate is made of steel ball runway structure with oil immersion,by this to make sure the machine have stable running, low noise and high abrasion resistant. Motor, invertor, lubricator and other components are German, Japan or Taiwan brands, which can be customerized.